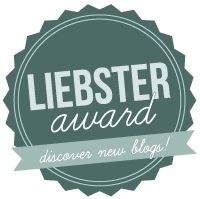 Have you noticed the Liebster awards recently appearing on the blogs you enjoy? Well, today I’m honored that the lovely Chuleenan from CSews has been kind enough to nominate me for this award. Thank you, Chuleenan for your recognition. 5.Tag your nominees & post a comment on their blog to let them know you nominated them. Now, let’s see how I do at answering your questions! 1. 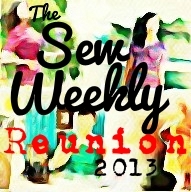 What is the first thing you sewed that you liked enough to wear in public? The first garment that I ever made was in the 5th grade. Everyone made a gathered skirt. The seams were sewn by machine, but all of the gathering stitches were done by hand running stitches. It took a long time as we only had class once a week. I grew up in Boston, and still live within commuting distance so get there often. I’d probably have to say that I gravitate towards pink, green and red. 4. What’s your favorite season of the year? 5. What’s the last sewing book you bought? 6. Have you made anything from a vintage (or vintage-inspired) sewing pattern? 7. If so, did you like how it turned out and did you wear it out? I’ve always liked the clothes I’ve made, but as styles changed, some were retired from my closet. I still have a couple of wool tailored jackets/coats that were made while I was an undergrad that I hold onto for sentimental reasons, I guess. 8. What helpful sewing tip did you pick up over the past year? I can’t think of a tip that I’ve come across recently, but I’ll share a couple of my own. When machine basting, I use up my partially-filled bobbins in contrasting colors from the project being sewn- it makes it easy to remove those stitches later and uses-up those bobbins! When doing two rows of machine gathering, I sew 3/8 and 6/8 away from the fabric edge so that the permanent stitching is well between those basting lines. The added benefit is that the gathers are smoother and easier to control. 9. What’s your favorite sewing machine presser foot? I use the Blind Hem Foot quite often. 10. What’s your favorite cuisine (Thai, French, Italian, etc.)? #1 is seafood, but being a foodie of sorts, I enjoy (too much, maybe?) Thai, Italian Mexican…tho I can’t really endear myself to sushi. 11. What’s your favorite dessert? If you have a recipe, please share it! My favorite dessert is ice cream, followed closely by anything chocolate. And here are the blogs that I am happy to nominate! I used Bloglovin & WordPress to help me select my nominees, but really, I don’t know how accurate those counts are. What I do know is there is lots of variety and talent herein. And the questions I hope they can answer! 1. What is your favorite fabric to sew? 2. What will be your next sewing project? 4. Favorite meal to cook or name of a favorite recipe. 6. One thing you can’t live without. 7. Words of wisdom or words to live by. 8. What do you look for in a blog? 9. A book to recommend . 11. Something about you that people would be surprised to know.